Situations that seem at first glance like disasters, can sometimes turn out to be opportunities in disguise. That’s exactly what Oxford-based manufacturer RFR Metal Fabrication discovered when a valued customer came to them with a big problem. “One of our biggest customers came to us at one point with a program that identified its worst suppliers—ones that needed the most improvement,” says Randall Williams, RFR’s President and CEO. To his dismay, RFR was on the list. The customer audited RFR, and then handed down a mandate for the company to get its quality under control. If RFR failed, it would no longer be able to expect any new business from the customer. “It was a wake-up call,” says Mr. Williams. 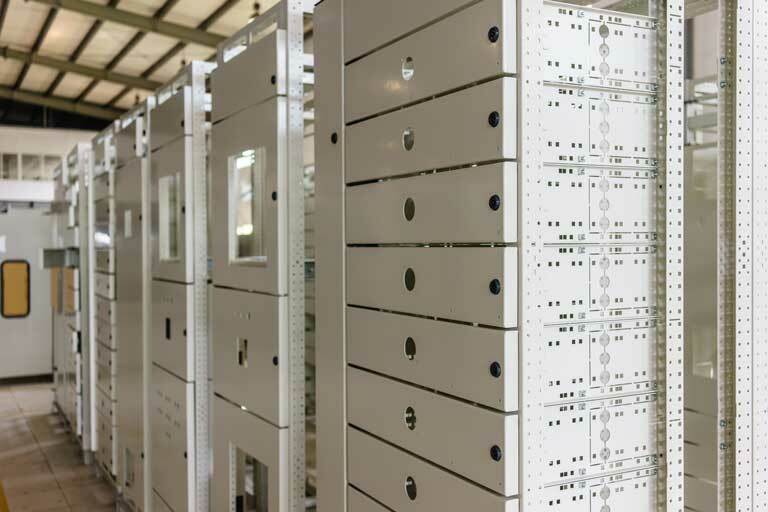 RFR is a contract manufacturing company that supplies OEMS with metal frames and enclosures. If you were to walk into a large data center operated by Amazon, Google, or Facebook, you might see their servers enclosed in RFR products. The company was aware that it was having problems with quality and on-time delivery, but it didn’t know just how bad those problems had become. RFR’s Quality Coordinator, Beverly Williams, identified shipping as a big problem area for the company. Orders frequently contained errors, and were often packaged carelessly and getting damaged in transit. Owing to the high rate of returns, customers weren’t meeting their own production goals, and RFR was incurring the return shipping costs from the incorrect and damaged products. Ms. Williams knew that she had to get tools in place to address the problems in the facility, but at first she wasn’t sure where to turn. “I felt like I was shooting in the dark to find a solid source for the education, that was going to be economical and give us the skills we needed,” she says. Ultimately, RFR decided to enroll two employees in the Lean Six Sigma training offered by NC State University. The two RFR employees came away from the class with a working knowledge of how to find root causes and solve them as effectively and efficiently as possible, and immediately began to implement and share the tools within their company. The results were immediate and dramatic. Within six months, the parts-per-million defect rate plummeted from 20,000 to 600, while the on-time delivery rate climbed from 50 percent to 97 percent. The approval rating of their most dissatisfied customer spiked from 40 percent to 97 percent. The company was able to salvage its brittle relationships and keep its customers, a turnaround representing $950,000 in economic impact. DOWNLOAD NOW » Click here to download a PDF of this Client Success Story.